Busy day here at the ICTCM. I need both an extended time for brain-dumping and a full night’s sleep, and I think the latter is going to win. So here’s a brief listing, in no particular order, of some of the standout items I’ve learned today. I learned first thing this morning that rigorous, scientific scholarship of teaching and learning does actually exist, and it’s being done by Dave Pritchard of MIT. Prof. Pritchard was our keynote speaker this morning. In his words, he has basically forsaken a successful career in atomic physics (in which role he mentored or taught three Nobel laureates) to devote his energies to physics education. His keynote this morning gave me enough reading material for a semester and a whole new outlook on what educational research could look like. I learned (through Pritchard’s keynote) that there is a school of thought that says partial credit in math and science courses should not be given, because — and I quote — “Partial credit rewards partial understanding”. More to think about here. I learned that, thanks to the research of Pritchard and his cohorts, there is a growing field of educational data mining, or one might say educational informatics, out there, designed to take data from online assessment tools and making observations about student learning. There’s even a journal. I learned that the difference between novice and expert behaviors in learning pretty much describes all the issues I’ve encountered with the MATLAB course and other courses I’ve taught. I learned, through Scott Franklin’s prezi on this subject this morning, that online lectures can be done that aren’t just lectures. I learned that Geogebra is pretty cool, and I’ll learn more tomorrow as I take a minicourse on that software. I learned there’s a whole website out there — and probably more than this one — for project-based learning ideas. I learned that MATLAB has an interactive GUI…. for creating interactive GUI’s. Definitely something to play with later. 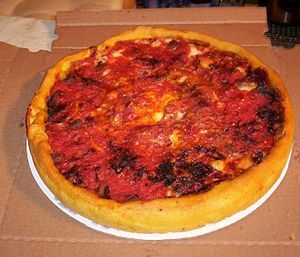 I learned that Gino’s East Pizza is among the best stuff I’ve ever ate, and the copious amounts of it in my stomach right now are a strong argument for sleeping over brain-dumping. Tomorrow will be a Geogebra minicourse, as I mentioned, and more sessions which I haven’t mapped out yet. We’re getting sporadic wireless access, so I’m able to tweet a lot. More to come!